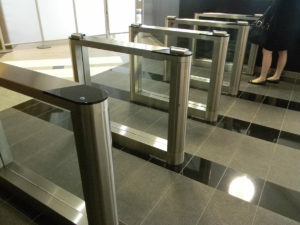 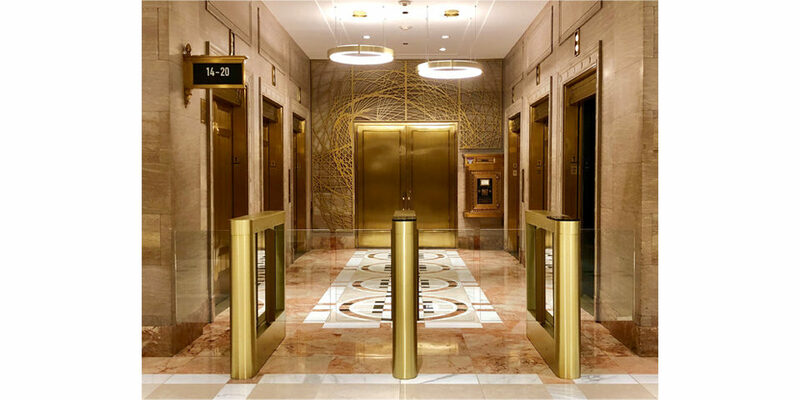 The OptiStile 400 turnstile was designed to fill a niche that has not been addressed in the marketplace: full-function access control with a minimal profile. 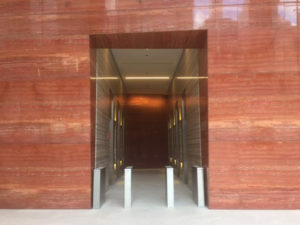 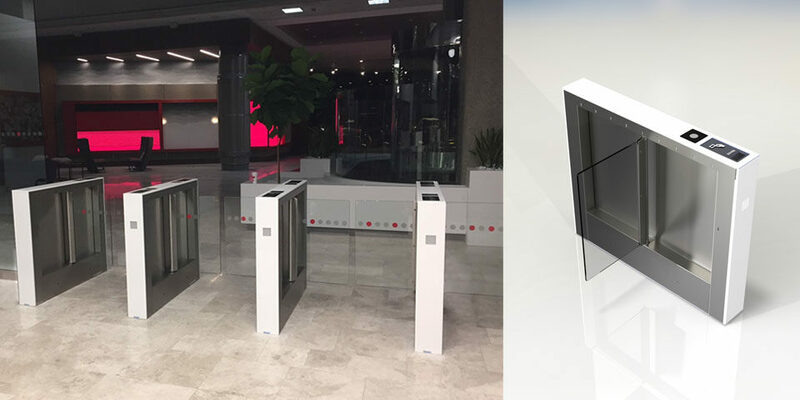 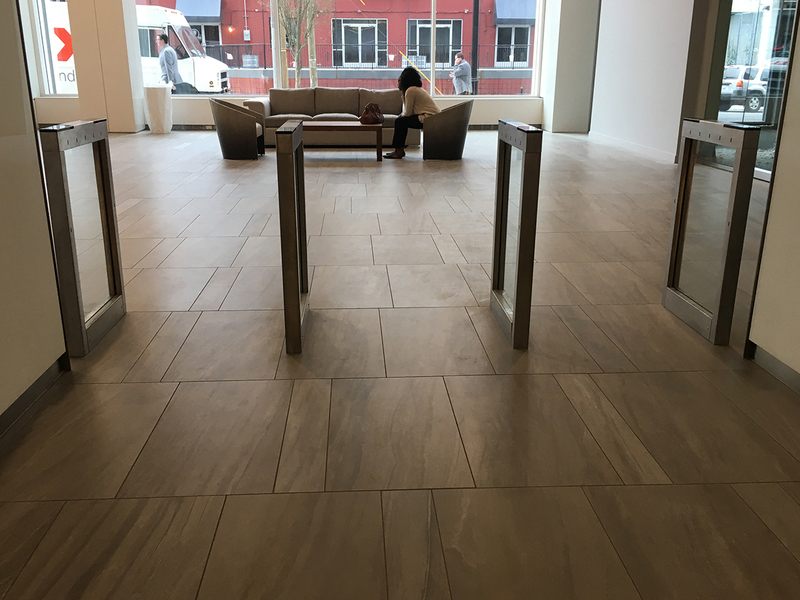 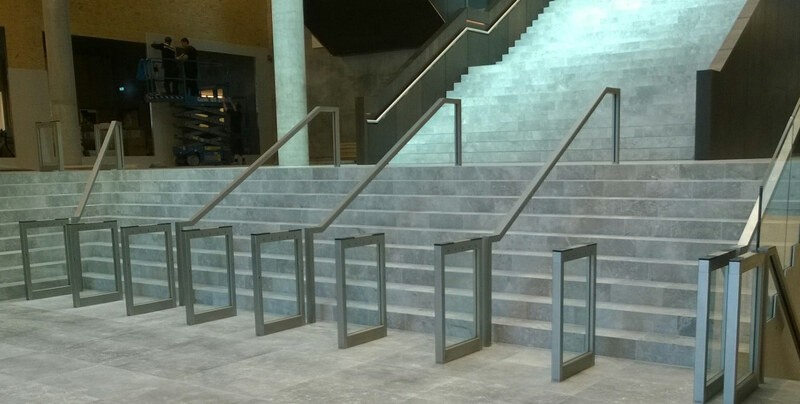 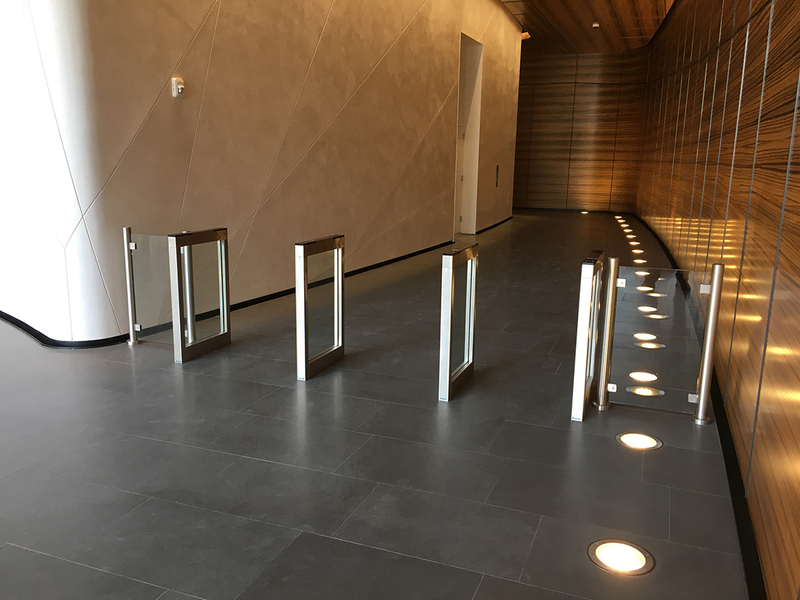 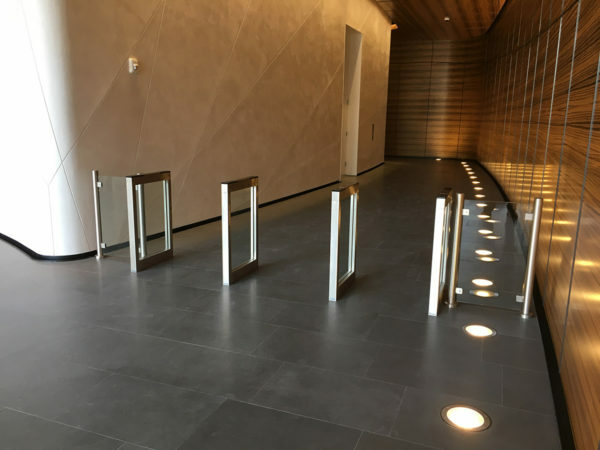 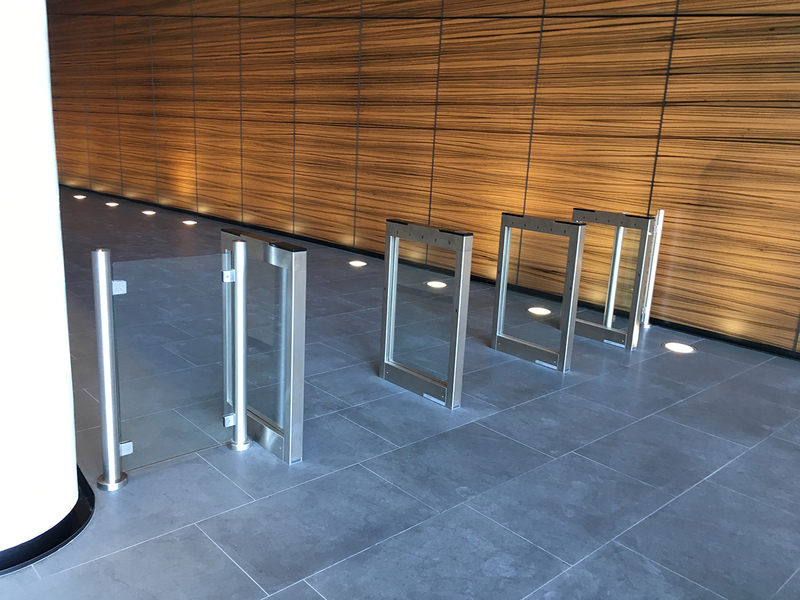 Narrow pedestals with glass infills provide a clean, modern appearance with all the detection capability of larger turnstiles. 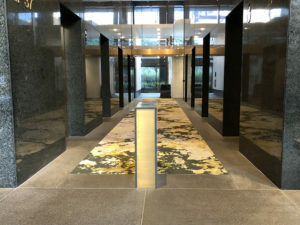 The OptiStile 400 platform is based on Gunnebo’s tried and tested platform; we simply housed the control board remotely in order to achieve this narrow, compact design. 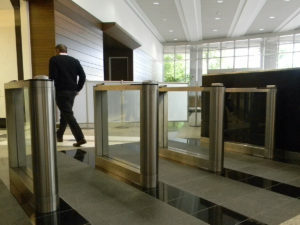 The OptiStile 400 can be placed in tight spaces or extended lobbies where speed of throughput, security, and design are required. 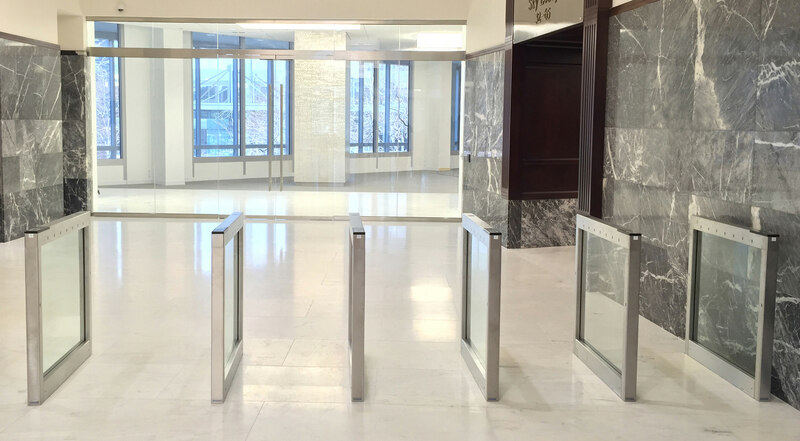 The OptiStile 400 utitlizes a combination of stainless steel and glass materials, offering an ultra modern design and thin profile turnstile. 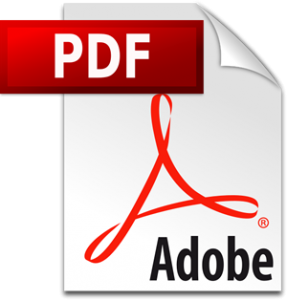 With the integration of a touchscreen or pushbutton controller, remote locations are provided with everything needed to fully tailor, control, and optimize the OptiStile to meet their specific site requirements. 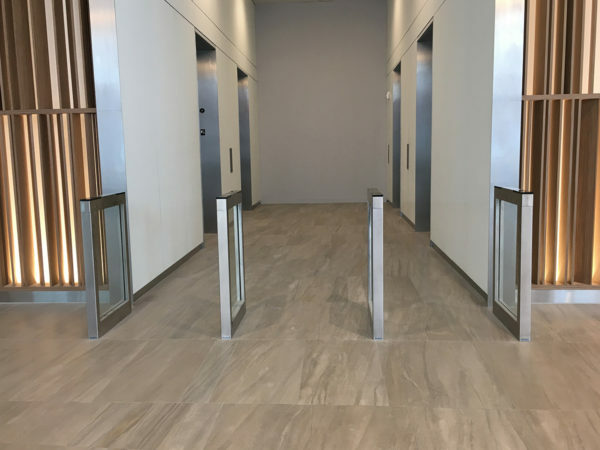 Designed and built in the USA, the OptiStile 400 can be installed as a single ADA compliant lane or in combination with multiple lanes placed in parallel.